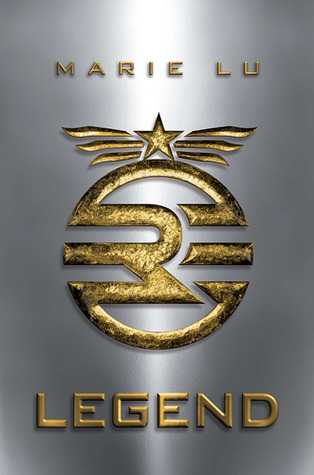 LEGEND’s Book Three, CHAMPION, Has a Cover! And Marie Lu Enjoys Making Us Suffer. ENTERTAINMENT WEEKLY: How does it feel to put a period on the series? MARIE LU: It feels pretty surreal. On the one hand, I’m so relieved that I’ve actually managed to finish my very first series, and that I’ve been able to see my characters through to the end of their journeys. On the other hand, I feel like how parents must feel when they send their kid off to college. It’s a bittersweet mix. How do you think your fans will feel when they finish reading? Anything we may be devastated about? Will there be any big deaths? There are a couple of deaths. And possibly some things to be devastated about. What can I say, I’m a writer — I enjoy forcing pain and suffering on my characters! I can’t reveal much, but I will say that Champion is the only book in the trilogy where I cried while writing it. This is mostly due to having John Lennon’s “Imagine” on my Champion playlist, but still. I hope my readers will at least feel a sense of closure at the end. Any new developments with the movie? I’m really excited about the finished screenplay, and I know Temple Hill is on the hunt now for the perfect director. Meanwhile, CBS Films and I collaborated with game studio Wicked Sweet Games to create a fun Facebook game for Legend called “Cities of Legend.” Fans can check it out here. Both CBS Films and Temple Hill have been immensely supportive. You can read more about it, including the spoilery synopsis at EW.com. The buzz has been quiet for a while what with other movies, including YA movies, coming out and the producers and such having to deal with all that along with the awards ceremonies this time of year, but luckily MTV’s Hollywood Crush was able to get at least some kind of new information from producer Wyck Godfrey on what’s going on with the development of Marie Lu‘s ‘Legend‘ going to the big screen. The good news: Things are moving along as interest in the book continues to grow, and they want to faithfully recreate Marie’s vision. The bad news: It’s going to be a while before we see a finished film. This is not surprising. It can take several years before a book actually turns into a movie. The idea is to come out with the movie sometime during the peak of it’s growth. That’s also understandable to an extent, which is fine. So, what are they planning to make this film into something different from what’s already been out? 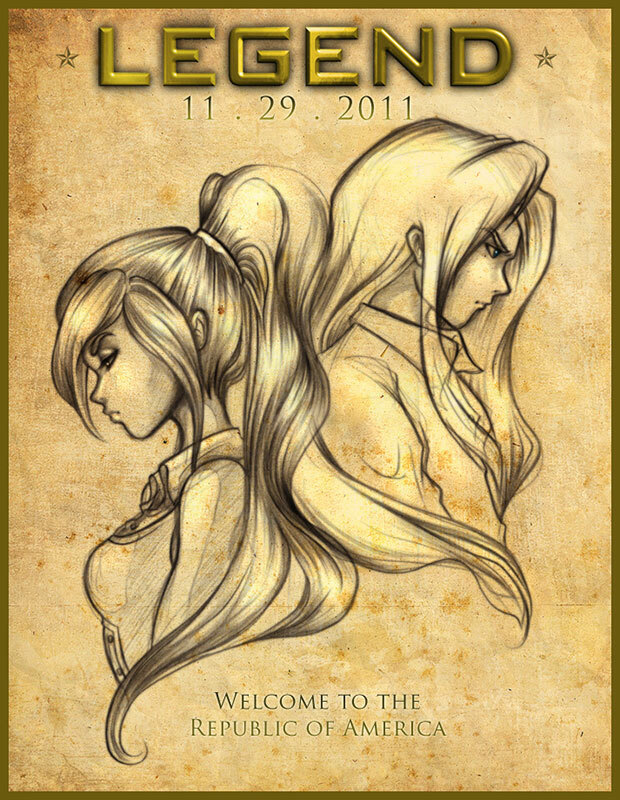 June and Day, drawn by author Marie Lu. There you have it. The ideas are coming, but the development is slow, as it always is in Hollywood. There are some books that are lucky enough to gain popularity so fast that the movie gets made right away (The Hunger Games, pub. 2008), and then there are those that can take even decades to be made (Ender’s Game, pub. 1985).